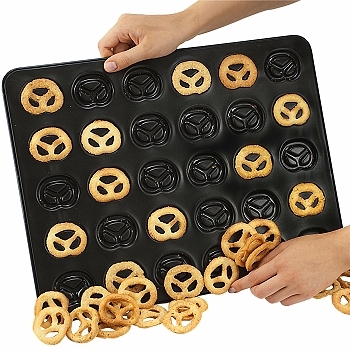 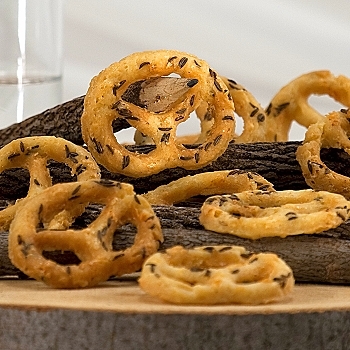 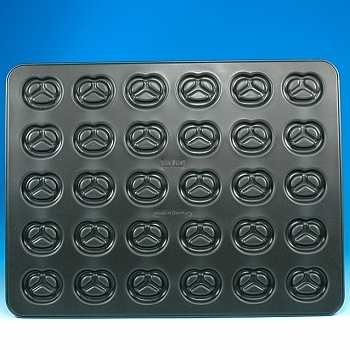 Pretzel Cookie Baking Tray is an amazing new pan for creating bite-sized sweet and savory pretzel-shaped cookies. 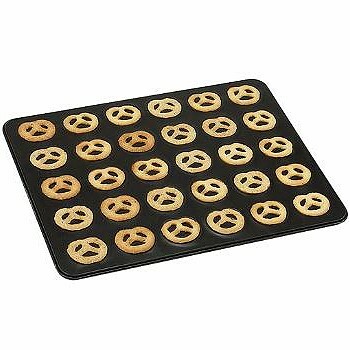 Bakes 30 uniform pretzel cookies at one time! 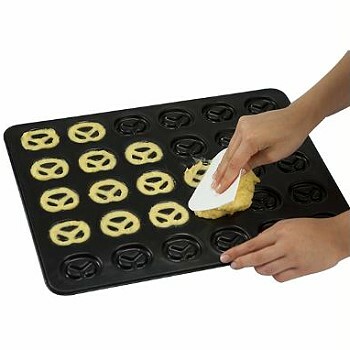 Cookie size: 2" x 1 3/4"